///PowerSkin Conference | Call for Abstracts – Extended Deadline 30.04.2018! we are pleased to inform you that the deadline for abstract submission has been extended to Monday, April 30, 2018! The upload platform closes on April 30, 2018, at 23:59 (CEST). The conference aims to discuss the future role of building skin to achieve carbon neutral building stocks. 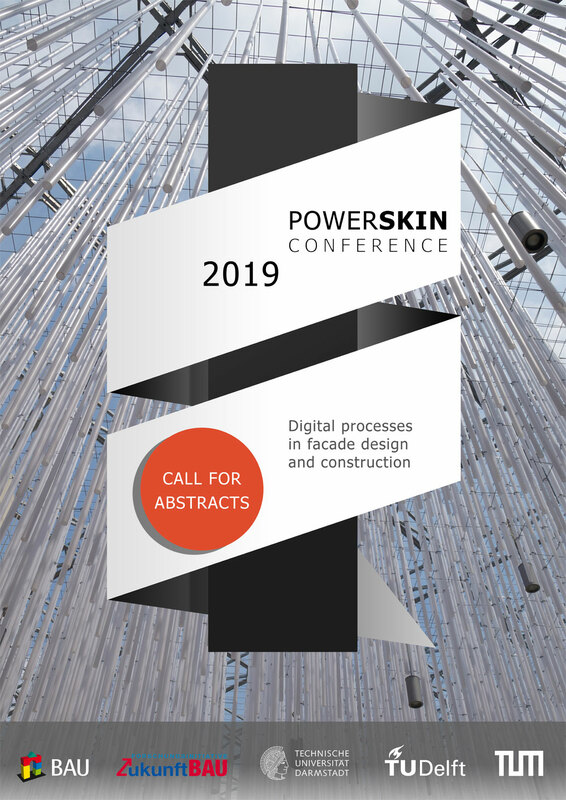 The focus of PowerSkin 2019 will be Digital Processes in Façade Design and Construction, including the use of digital tools and methods (e.g. simulation tools, fabrication tools). In order to submit your proposal please visit the conference website www.powerskin.org and click on ‘submit a paper’ (second blue button on the left). If any questions or problems occur, please do not hesitate to contact us: info@powerskin.org. For more information, we kindly ask you to visit the conference website at www.powerskin.org.